The overlaying image of this particular article is the Yarmouk Refugee Camp, a permanent camp built outside Damascus to house Palestinians in exile from 1947 onwards. It’s been used a lot to discuss the record-breaking number of refugees the UN just finished counting this year, and I think it’s a pretty apt photo that captures the human tragedy of displaced peoples. But geopolitics has no feelings. It’s a description of conditions and trends; it focuses on what powerful people can and might do, and it helps us understand things like this nightmare photo in terms that are rational. Here’s the cold explanation for why 2015 has outpaced even World War II for refugees, and what must be done to solve it. More people than ever: with a higher human population, there will naturally be more people displaced by conflict. Weaker states than ever: most of these refugees come from failed or failing states. Better technology than ever: better tech has resulted in easier-to-start wars as well as faster communications, so when a bomb goes off in the neighboring province, people hear about it and panic faster. The likely rational way forward should follow what happened after World War II: accepting that many refugees will never return to their origins and finding them new, safe places to live. But since few refugees come from geopolitically critical regions, that solution will be slow in coming. And now, the gritty details, starting with where these refugee numbers are coming from. For deep details, click here. Many of 2015’s 59 million refugees are from old, sore conflict zones: Afghanistan/Pakistan (2.59 million), Somalia (1.1 million), and Sub-Sharan Africa (3.7 million). These are folks fleeing states long since failed; a combination of a lack of strategic interest from developed powers and the failure of the nation-state political model are the big reasons why so many flee from these places. The newcomers are the headline-grabbers: Syria’s civil war has created 4 million new refugees, while wars in Yemen, Libya, Iraq, and Mail have pushed that number even higher. For the first time since the Balkan Wars, Europe now has a large native refugee population fleeing the fighting in eastern Ukraine. It can be easy to think that refugees are only coming from Middle Eastern or African countries, but the forces driving the crisis are present everywhere. But some states can handle those forces while others can’t. So where did all this come from? Well, let’s start with the most basic explanation: more people will always mean more refugees by absolute numbers. The last great refugee crisis was in the dying dusk of World War II. Millions from Poland, Germany, China, and elsewhere were subject to mass population transfers or had fled in the face of conquering armies. Back then, the world’s population was about 2.45 billion people. Europe alone had 40 million refugees, close to our present 59 million. And since we have 7 billion people, from a proportional standpoint, the refugee crisis of 2015 is not as severe as what followed World War II. Greater population has also put a strain on nation-states worldwide. The nation-state is an old form of political organization; its origins go back to the Treaty of Westphalia in Europe in 1648 that ended the 30 Years’ War. For most of human history, the nation-state has presided over populations mostly spread out across rural territories with a small middle class and an even smaller elite clustered in a handful of cities. Today, more and more people crowd into cities, creating much more complicated societies than nation-states were originally designed to govern. Many nation-states have kept pace and adapted; they’ve democratized, rewritten social contracts left and right, and used soft power/mass culture to build loyalty to their flags and constitutions. But many others have not. 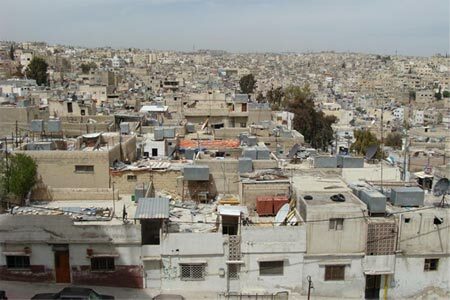 Urbanization is often not accompanied by strife and war. It’s actually most often those states that have enjoyed large population bumps – thanks to the eradication of a number of diseases and the worldwide drop in infant mortality – but haven’t built cities or industries to house and employ them. With so many more people, unemployed and beyond the easy reach of city cops and security services, rebellion, dissent, and civil war become both more likely and much easier. This situation is often both the cause and the result of weak states, who usually start weak and have never really gotten off the ground. All the major conflict zones are in weak states. Each of them began weak after a hasty decolonization and have never quite found their footing in the modern world. Few of them had elites and societies prepared for the requirements of running a nation-state. Some of them were tribal colonies that had independence thrust on them, like the Democratic Republic of the Congo, and collapsed rather predictably. Others were kept stable and strong through outside support, like Iraq, Syria, and Somalia. All of them lacked the vital components necessary to make an efficient and lasting nation-state: a mature political elite, a supportive middle class, and a common enough cultural identity to bridge the gaps between strangers and establish a national community. Nation-states in Europe began as kingdoms and evolved over centuries; the nation-states producing the refugee crisis today were almost universally constructs of European elites who thought their governing model would work just dandy regardless of the society they imposed it on. Some of these failed states were broken by outsiders. Iraq and Afghanistan were both stable enough before they were ripped apart by foreign invasions. But others, like Syria, fell apart on their own: remember the Arab Spring was indigenous, and while the Free Syrian Army has been armed by outsiders, the rebellion itself started and is still manned by Syrians. From a trend perspective, weak states are falling apart worldwide even when left alone: the Rohingya refugee crisis in Burma is the result of the Burmese government losing control of its own racists. To blame the “West,” or even the United States, is a vast oversimplification of geopolitical processes well outside their control. Better technology is making wars easier to start, terror easier to spread, and people more likely to flee. Remember what Twitter did for the Arab Spring? That rapid spread of information works for the refugee crises as well. When rumors spread of Russian tanks driving towards your village in Ukraine, the smart thing to do is get the hell out of there rather than wonder if you can trust the hashtag. Political violence, as well as war, is often very localized; life goes on in the portions of besieged cities that snipers can’t reach. In years before rapid, mass communications, many people stayed put in their homes until they actually saw violence creeping over the horizon or received instructions from the state to leave. Today, people, quite reasonably, will run on the mere Facebook rumor of violence. And today’s world is chocked full of buses, boats, planes, and other faster methods of transport. In World War II, many refugees were on foot; that’s less the case today than ever. A past refugee had to calculate the odds of being caught by a mechanized enemy force in the open; many of today’s refugee can at least hold onto the hope they can out drive the danger. When you can find transport elsewhere, staying put and waiting out the conflict is the dumber of the choices in dealing with a marauding army. Top that off with war-making technology being easier than ever to access. Insurgents can build homemade bombs; Internet black market men supply whoever has a need with bullets and rockets. In World War II, arms production was almost wholly controlled by national governments; technology was too crude to set up a homemade rocket in your basement. That meant only controllable forces, insurgent or soldier, got the stuff of which wars are made. But that’s clearly not the case today. A dedicated insurgency can cobble together enough weapons to start a small war almost anywhere; in places where state power is weak, they can go quite far. So what’s to be done with all these people? There is a model in the past, but few people will like it. After World War II, the UN set about resettling people rather than returning them. The Germans who lose homes in East Prussia and Silesia – now split between Russia, Lithuania, and Poland – lost those homes forever. 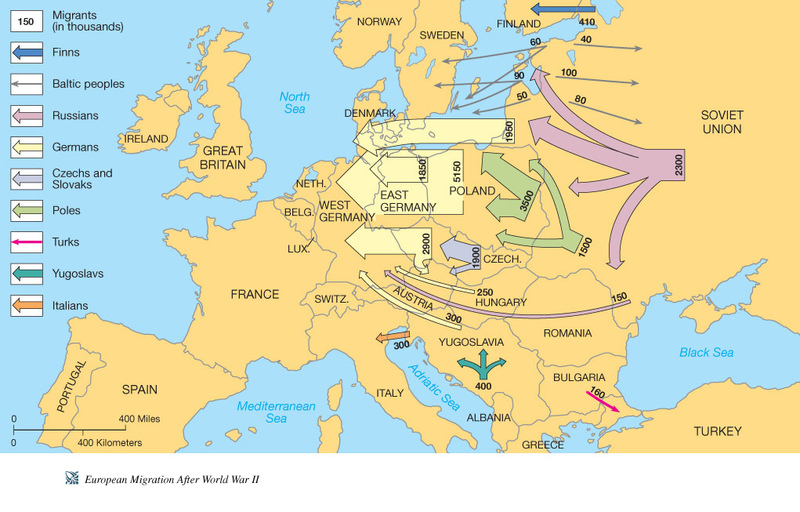 Poles were shoved westward by the Soviets. Japanese in Korea and Taiwan, some of them born there (Japan was in Korea from 1910-45 and Taiwain 1895-45), were forced out. These mass population transfers reflected new borders and territory; the cold calculus was putting people into the nation-states they belonged rather than where they wanted to be. It worked; the lost lands of so many World War II-era refugees is not an issue today. Returning people to broken or weak states will only exacerbate all the problems that caused people to run to begin with. Leaving them in refugee camps is a drain on their neighbors and the international community; on a long enough timeline, the camps become permanent, as has happened with many Palestinian camps, but the tension and unrest within them remains the same. Unable to move to a better life, and unable to improve their surroundings short of the doles they’re handed out by their host governments or the UN, these refugees are stateless, homeless, and hopeless. Only resettlement has a proven track record. In some cases, resettlement will require borders to change and new nations to emerge; Iraq and Syria are obvious candidates, with Sunni tribes lumped into a new state and Shi’a and Alwaites/Christians into their respective new countries. But the United States hates that, since it results in unpredictable new expressions of power, and if done improperly, could create potential challengers to America. In other cases, developed states, or at least secure ones, must absorb some refugees and make them citizens. The U.S. is a prime candidate; its long immigrant tradition makes it part of its national culture to take the tired and poor. While nativist sentiment in the U.S. is currently blocking proper immigration reform, that political condition will not last forever; once the economy improves and this current generation of leaders retires and is replaced, many worldwide refugees will find a home in America. Europe too is just as good; it faces the same nativist backlash as the U.S., but just like the U.S., that will not last forever. Short of that, secure neighboring countries will have to accept their camp dwellers as citizens. Iran could absorb Persian-speaking Afghan refugees; Jordan and especially the Persian Gulf states could absorb Arab refugees from Libya, Syria, and Iraq. While it will be tricky emotionally, many Palestinians would be well served with new national identities from stable Arab countries. But few will like these ideas: they’d rather believe they can solve a failed state and simply dump the refugees back from whence they came. Unfortunately, that will only make conditions worse and prolong the crisis. There is the last, and in my opinion most hard-hearted, option: just leaving things as they are. Over a very long timeline, refugees will grey, will die, and will not be replaced in sufficient numbers. 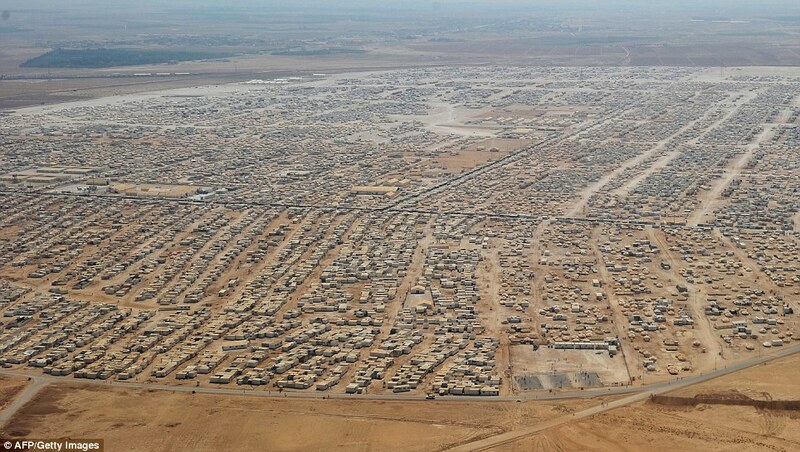 The world could decide to just freeze some of these millions into their camps, stateless, under rigid control. That’s the simplest thing to do and certainly the most tempting; it’s probably not the cheapest, since over time the costs of controlling and running those camps will outweigh absorbing or resettling them. But it will keep nativists at bay and allow refugees the false hope of returning to what they think of as home. Alas, the international community will be slow in solving this crisis because few refugees come from geopolitically strategic regions. Of all the new waves of refugees, the Ukrainian ones have the best bet of being sorted first. Ukraine is too important to ignore; its status on the Russian border means it must be reordered quickly. But other places, especially the old conflicts like Somalia, Afghanistan, and the DRC, can be ignored; beyond terrorism, none of them are geopolitically strategic for the developed powers. Human tragedy is often not enough to warrant the use of power. Syrian and Iraqi refugees, close as they are to oil fields, have a better chance, but even then, the surge in American production is allowing the West, and especially the U.S., to take a more hands off approach to finding a solution to the collapse of both Iraq and Syria. After World War II, it was vital for the victors to reorder Europe, and fast, so they could get on with the next great confrontation: the Cold War. By 1950, virtually every European refugee was resettled. Until such need arises in the refugee-producing countries of the world, this situation will drag on. As always in geopolitics, the cold calculations also make the most sense. But that will not hearten those 59 million now living outside their home.